The following questions are those most commonly asked by new owners and tenants. If you cannot find the topic that you are looking for below, please feel free to email or call the Management Office at (808) 395-7544 for additional information. You may also be able to find your answer elsewhere in our web site. Where is the Mauna Luan? The Mauna Luan is located at 511 Hahaione Street in Hawaii Kai, at the corner of Hawaii Kai Drive and Hahaione Street. This area is located in east Oahu. Our entrance is the first driveway on the right-hand side after turning off of Hawaii Kai Drive. If you are an owner or have a question pertaining to the Association of Apartment Owners or the common elements, you can email the Management Office at info@maunaluan.com; send us a fax at (808) 395-7417; or, call our Management Office at (808) 395-7544. You can also send regular mail to us at: Mauna Luan, 511 Hahaione Street, Honolulu, HI 96825. You can contact our Security 24-hours a day at (808) 395-7422. The Mauna Luan Management Office is open Monday through Friday from 8:00 a.m. until 4:00 p.m.; and, Saturday from 9:00 a.m. until 12:00 noon. We are closed on Sundays and holidays. The Management Office is located in the main lobby of the East Building, which is the building on the right as you enter the property. Who do I contact to purchase or rent a Mauna Luan apartment? 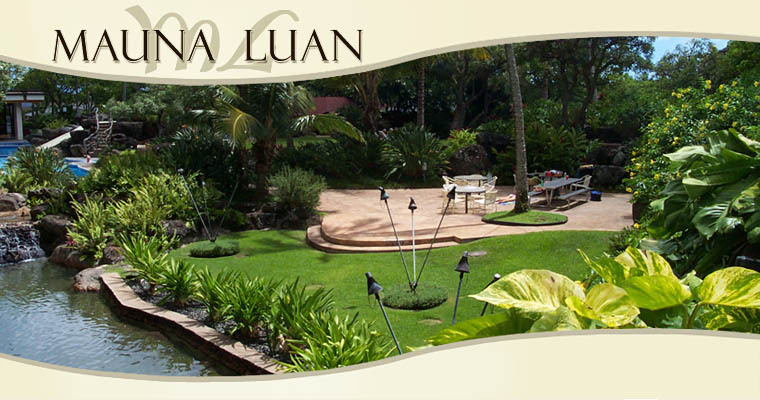 All Mauna Luan apartments are individually owned and managed. The Management Office manages the Mauna Luan on behalf of the Association of Apartment Owners, but does not manage any individual apartments. We are not realtors and have no information regarding rentals or sales of the units. If you are at the Mauna Luan you can check our main lobby bulletin boards, where owners and agents often post information for apartment rentals or sales. You might also contact a local realtor or check the local media for information on available units. Do you allow short-term or vacation rentals? No. The minimum rental period at the Mauna Luan is 90 days. NO DOGS ARE ALLOWED AT THE MAUNA LUAN. We allow all other generally accepted household pets, in reasonable number. What amenities are available at the Mauna Luan? The Mauna Luan has probably the most extensive amenities of any private condominium in Hawaii. There are two large, free form, swimming pools. The East Pool actually consists of two separate pools with a dividing wall. This pool also has a water slide and children’s wading pool. The West Pool is smaller than the East but is heated year-round. There are also seven outdoor Jacuzzies, four in our East Pool area and three in our West Pool area. We have ten outdoor natural gas barbecue areas, four of which can be reserved for private parties. There is also a golf putting green at the far West end of our property. Adjacent to our East Pool is a Recreation Building with a billiard and ping pong table; two racquetball courts; men’s and women’s spa areas with Jacuzzi, sauna and shower facilities; and, a co-ed workout room. We also have a car wash area that provides water hoses with nozzles and electric service if you wish to bring your vacuum with you. In the Car Wash Area there is also boat and kayak storage spaces; however, you must register any of these items with the Management Office prior to use. There is normally a waiting list for these areas so please call before bringing a boat or kayak to the Mauna Luan. Finally, there are two lobby areas, one in each building, which can be reserved for private parties. These areas have complete kitchen facilities and restroom facilities. Any of our reservable areas can be used at anytime without a reservation as long as no one has reserved them during the time you wish to use them. Do I need reservations to use any of the facilities? Reservations may be made for the racquetball courts, billiard/ping pong facilities, selected barbecues and each building lobby area. You will need to contact the Management Office, or security after hours, to reserve barbecues or lobby areas. Reservations for racquetball courts or billiard/ping pong facilities must be made through our Security Guardhouse. What are the recreation area hours? Our swimming recreation areas, including the barbecues, are open from 8:00 a.m. until 10:00 p.m., daily. The Recreation Building workout room, men’s and women’s spas and racquetball courts are available for use between the hours of 5:30 a.m. until 10:00 p.m., daily. Yes, there are currently approximately 30 guest parking stalls available on a first-come, first-serve basis. All vehicles parking in guest parking must display a Guest Parking Pass that is issued at the entryway Security Guardhouse when you enter the property. There is a maximum 12-hour limit in our guest parking areas. Each apartment at the Mauna Luan has their own individual mail box. Mail boxes are located in each of the first floor elevator lobbies in each building. The USPS uses your apartment number and street address to deliver mail to the appropriate mail box. Since we have identical apartment numbers in each building, the Postal Service needs both your unit number and street address in order to deliver your mail properly. How do I get my building security keys and vehicle decals? Once you have rented a unit at the Mauna Luan you must register with our Management Office prior to or at the time of occupancy. You must bring a copy of your rental agreement with you at the time of registration so we can verify the length of occupancy. At the registration you will be given an orientation about the various aspects of the Mauna Luan and also be provided your building security key Fobs and vehicle decals. There is a non-refundable $40.00 registration fee for this process as well as a $25.00 refundable deposit for each building security key Fob. You may be issued a maximum of one building security key Fob per registered resident plus one additional key Fob for your apartment. Also, please remember to bring all current information for your vehicle(s) to include Year, Make/Model, Color and License Number. We require this information before we will issue vehicle decals. Each apartment at the Mauna Luan has a storage space in the basement storage area. These lockers are approximately 4' by 8' by 7' high and are constructed of wood and wire framing. There is a hasp for you to provide your own lock. We also recommend that you place items on pallets or store your items in plastic storage bins in the event there is a water leak or seepage from heavy rains. The Mauna Luan assumes no responsibility for items placed in the basement storage areas. Access to the basement storage areas is controlled by special keys that must be signed out either at the Management Office or Security Guardhouse by occupant owners or lessees between the hours of 8:00 a.m. and 10:00 p.m., daily. Is there storage available for my bicycle? Yes. We have a secured bicycle storage area adjacent to our West Building guesting parking area. All bicycles using this area must be registered with the Management Office and have their building security key coded to open the door. Why do the House Rules require that I leave a key to my apartment with you? We may need to get into your unit in the event of an emergency or for operation of the premises. For an example, a water leak may start in one unit and affect several other units. If the problem unit is not occupied and we do not have the unit’s key then we must call a locksmith or in extreme circumstances we may have to force an entry. If we must force entry into your unit and in doing so damage the entry door, any repairs or replacement will be at the unit owner’s cost or expense. Also, in the event that you are locked out of your apartment or need to authorize entry to a repair person or other individual, we can allow access if we have a current set of keys. How do you keep my apartment keys secure? All of our apartment keys are kept in locked key cabinets, inside of a deadbolted storage room that is part of the Management Office. Any time apartment keys are removed from these cabinets they must be signed out on our Key Control Log. Only Management Personnel, our Security Chief and three security supervisors have access to these keys. I’m expecting a delivery but I work. Can you accept the delivery for me? Article II, Section 17 of our House Rules specifies that no Mauna Luan personnel shall accept deliveries of mail or personal property on behalf of any occupant. You will need to make alternate arrangements if you cannot be at home when the delivery will be attempted. Any found property is turned in to our Security Guardhouse so it can be logged into our Lost and Found Log Book. We will keep found property for a period of 30 days. If it is unclaimed after that period we turn it over to the person who found it. 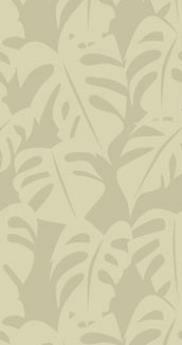 If you lose any property at the Mauna Luan you should make a report to our Security personnel. Yes. Basic cable television and Ultra Internet service is provided by the building. Any other premium services must be contracted through Spectrum Cable. With this service Spectrum also offers their digital telephone service. This can also be contracted through Spectrum. For problems with your cable service you should call Spectrum Cable at (808) 643-9933. No you do not. Our systems operate through an auto-dialer and as such can be programmed with any working telephone to include cell phones. One caveat is that you must have a local number as we will not program long distance numbers into our system. What do I need to know before I renovate my apartment? All renovations in the living units must be reviewed by the Management Office prior to the beginning of work. Load bearing wall, floor and ceiling slabs cannot be cut into to hide conduit or pipe. Non-load bearing walls within the units (gypsum board) can be manipulated as the owner sees fit. Utilities (water, electric, sewer) that belong to the building and serve more than one unit cannot be moved without approval of the Association. Individual unit utilities can be re-routed within the unit as long as this work does not affect other units. Work that will require temporarily shutting down utilities servicing other units must be scheduled through the Management Office. Any work that will generate any noise must be accomplished Monday thru Friday, between 8:00 a.m. and 5:00 p.m. No noise-generating work is permitted outside of these hours. What do I need to know before I replace my flooring? The original floor covering in the living units was carpeting. Many owners have elected to replace the carpeting with wood or tile flooring which has generated a high number of noise related problems for the units beneath them. Effective April 25, 2007, if you elect to put down a type of flooring other than carpet, it is mandatory that sound insulation materials with a minimum sound transmission class (STC) and impact insulation class (IIC) of 55 be installed between the concrete slab and new flooring to help prevent noise problems for your neighbors. Certification of this rating is required for all new installations. Where can I install an air conditioner? There are specific locations in the units where window units are permitted to be installed. Any air conditioner installed must not be visible from the exterior of the building or hallway. A wooden louvered grate must be installed in the window frames in these locations with the air conditioner installed behind it inside of the unit. These air conditioning units also must be able to evaporate any condensation generated by the unit. In no case can water from an air conditioner be allowed to drip outside. Please check with the Management Office for information on construction of the wooden grate and/or dimensions to make your own. What do I need to know before I purchase a screen door? Many unit owners have installed security screen doors on their units to aid in ventilation. If you elect to install a screen door please check with the Management Office before purchase to see the types that are available as there are only a few specific designs approved for installation. Any unapproved designs will be required to be removed. Is there asbestos in the buildings? There are minimal amounts of asbestos in the acoustical spray-on ceiling coatings, commonly called "popcorn" ceilings. Previous testing found there is between 1% and 2% of the fiber known as Chrysotile. The mere presence of this material in our ceiling coatings does not necessarily represent a health risk even if the materials are considered friable (i.e., easily crumbled or pulverized by hand pressure). Such surfaces must normally be impacted in order to cause release of any significant amount of asbestos fibers into the air. As a result, if renovations or alterations to any of this ceiling material is to be made, it is highly recommended that removal of the asbestos material be done by a licensed asbestos abatement contractor prior to any other renovation activity. Twice per year, typically in July and during the Christmas holidays, the Mauna Luan provides a large roll-off dumpster in our Car Wash Area for residents to dispose of furniture and bulky items. Please note that no appliances, air conditioners, televisions or computer equipment may be placed in this dumpster. At all other times, you must arrange to have bulky objects like furniture and major appliances taken to a private landfill. There is no place on Mauna Luan property for bulky items to be left pending pick up. What do I need to know before I move? Due to limited freight elevator space we recommend that you contact the Management Office as soon as you have dates for moving of furniture so we can reserve space for you. All moving is done in the order of reservation so please try to have an alternate date when you call. Is there asbestos in the buildings?How do I get rid of my old furniture and other bulky items?